Serge Lutens fragrance and perfume list. 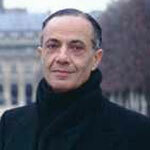 Serge Lutens, born in Lille, France in 1942, began a career in beauty at the age of 14 apprenticing for a hair salon. After his military duty he moved to Paris, and in the 1960s he worked with photographers for Vogue, creating looks with hair and makeup. In the 70s he took his photography to a new level and directed short art films. He worked for Shiseido in product image development in the 1980s. In the early 90s he opened his own perfume house, and his own brand was launched in 2000, winning numberous FiFi awards. He currently lives in Marrakech, Morocco, and continues to create fragrances. A former makeup artist, Lutens isn't a perfumer by trade, but his Paris fragrance boutique breathed fresh life into the industry in the 1990s. His goal was to offer radical alternatives to safe trends, combining cutting-edge ingredients with total creative freedom. A musk in the original, dirty sense, Muscs Koublaï Khan, which Lutens created with Christopher Sheldrake, challenged the easy, splashy fragrances of the time.